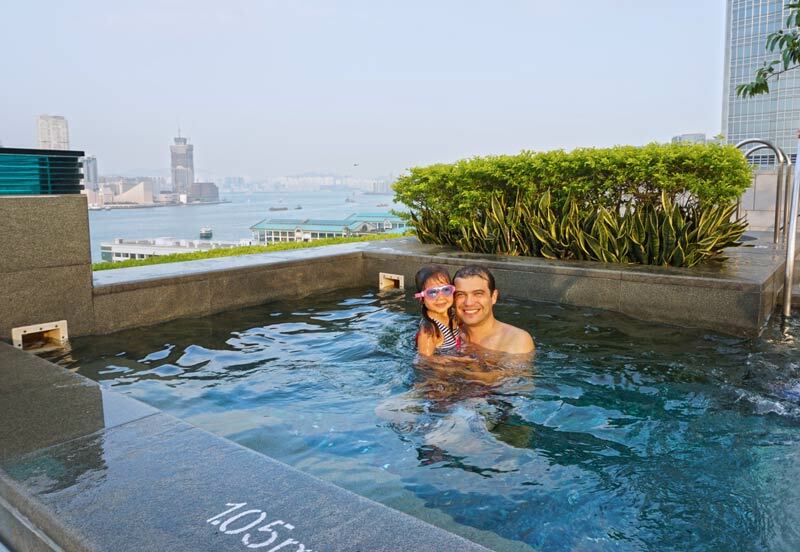 Rejuvenating in one of Hong Kong’s best infinity pools while overlooking Victoria Harbour and the Kowloon city skyline may not be reason enough for families to stay at the Four Seasons Hotel Hong Kong. But combined with luxurious rooms, a superb central location, phenomenal food, and exceptional family friendly service, it’s difficult to consider anywhere else. 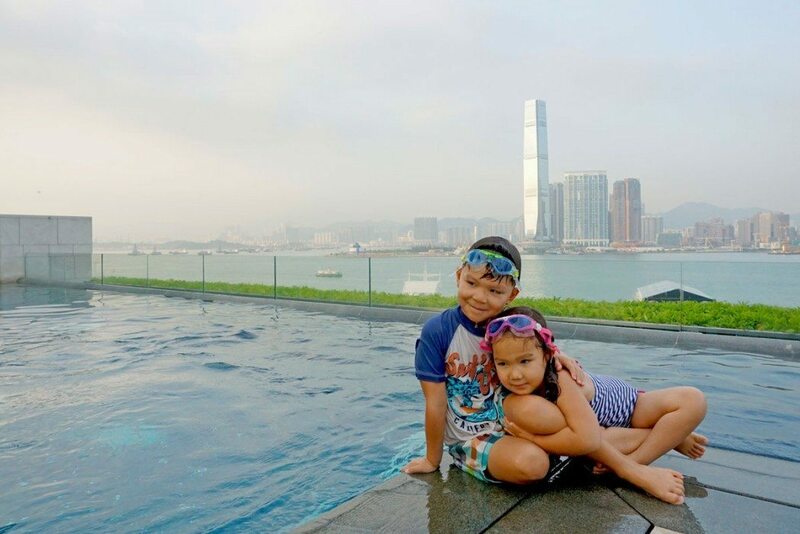 Pros: A family friendly luxurious waterfront haven, conveniently positioned with Hong Kong at your doorstep. Cons: Kids will want for nothing right down to the fluffy kid size robes and slippers. A constant reminder of reality will be required. Families should stay here because: Hong Kong can tax even the most intrepid of families. 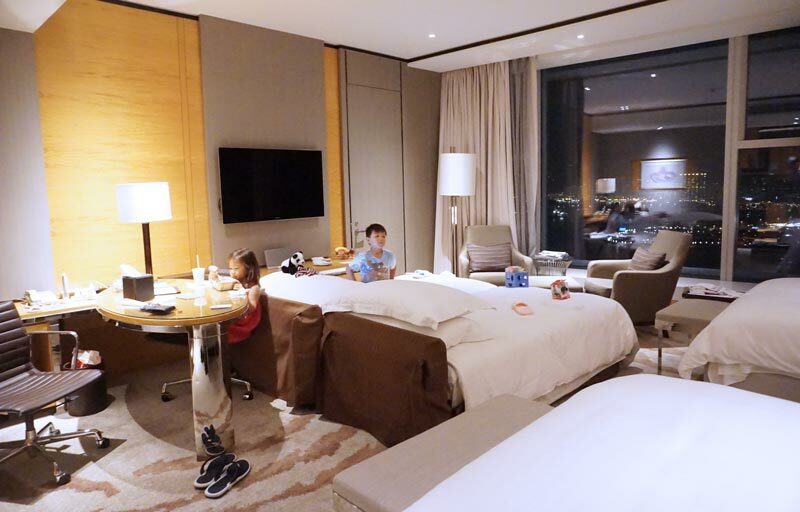 The Four Seasons Hotel Hong Kong offers perfection and sanctuary, much welcomed after a long, humid day of successfully exploring the vibrant city without losing the kids. Right from the start, we were made to feel at home at the Four Seasons Hotel Hong Kong. Greeted with warm smiles and an effortless check-in, much appreciated with tired and jet lagged kids. 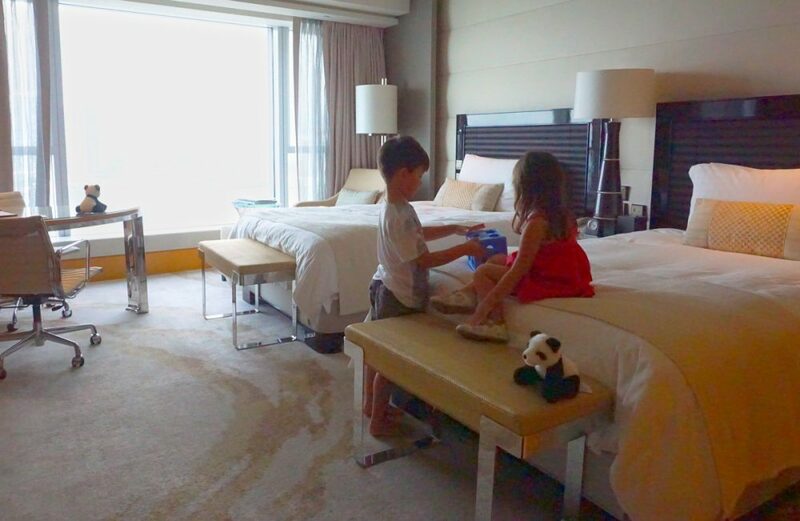 Far removed from the austere service typical of luxurious Asian hotels, staff on bended knee greeted our hesitant kids at their level with a plush toy panda gift, instantly winning them over. 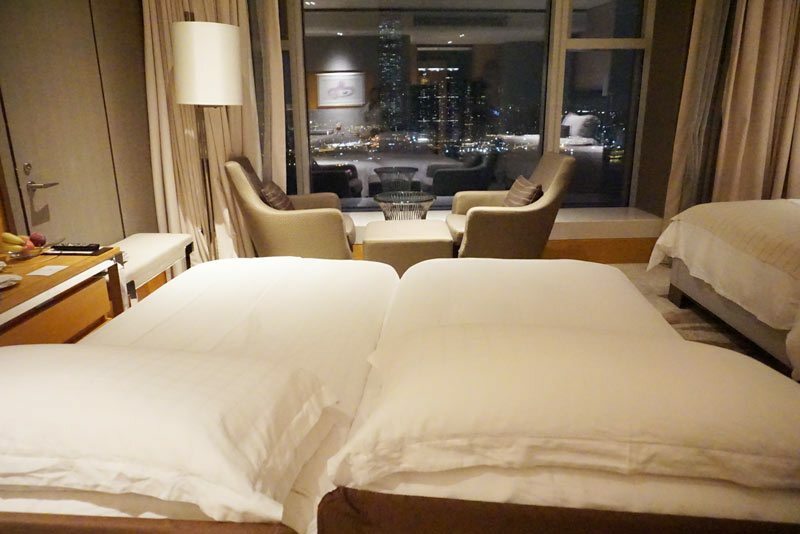 Positioned in the heart of Hong Kong Island’s financial district, the hotel caters primarily to the business traveler; however, even the smallest of guests are made to feel just as important and welcomed. 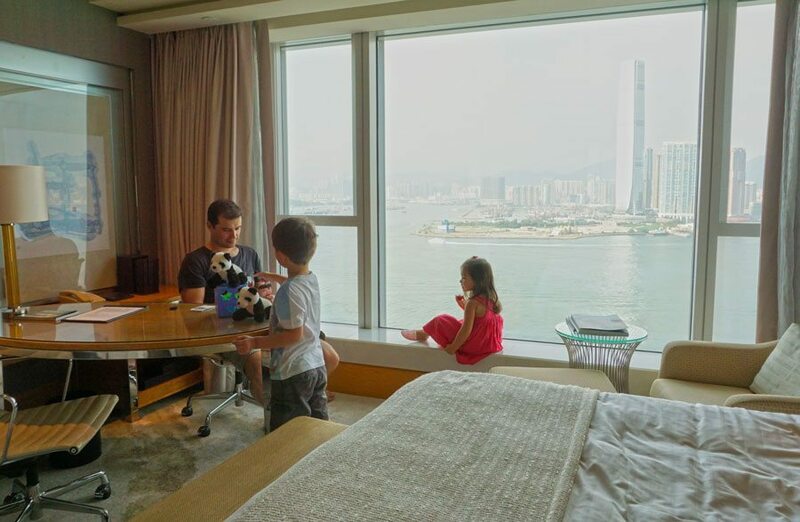 The Four Seasons Hotel Hong Kong Premier Harbour-View Room is an ideal option for families. 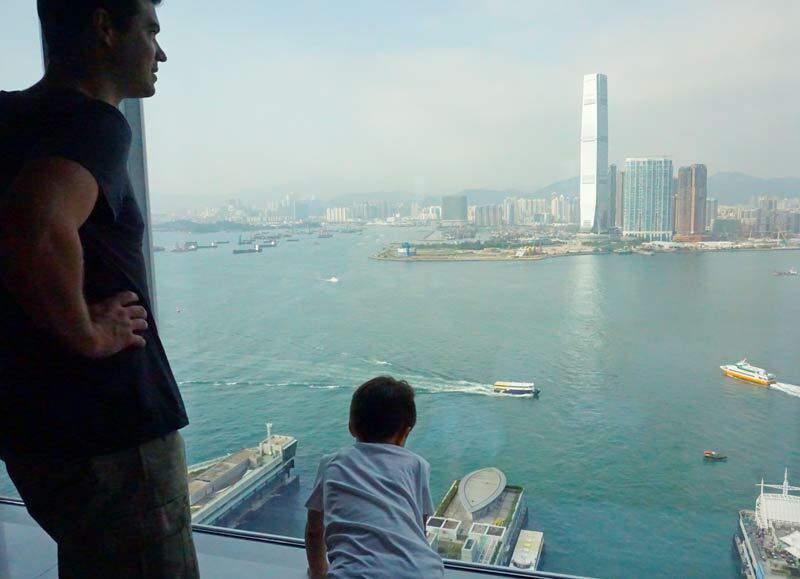 Located on the upper floor, kids can see the Hong Kong Star Ferries cruising across Victoria Harbour, watch the nightly show of lasers dancing from skyscrapers, and on a clear day view the Nine Dragons, the mountain range of Kowloon Peninsula. Rollaway beds are offered for kids with enough space in the 45 metre square room for a small play space and seating area. Rooms have a maximum occupancy of 3 people and adjoining rooms are available for larger families. The Harbour-View Room on lower floors offers the same views with a slightly smaller footprint that leaves a little less space, yet is still comfortable enough for families. For more space, the Harbour View Suite offers separate sleeping quarters with TV and full bathroom, an ideal parents retreat. The living area can be converted to the kids sleeping area complete with separate powder room as well as flat screen with full cable services. 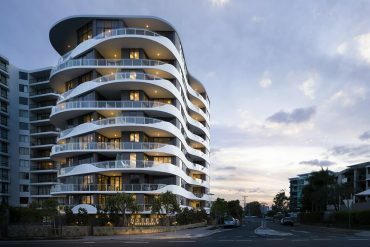 For even more space, the Four Seasons Place connected to the hotel complex offers serviced apartments. Families can enjoy the conveniences of a home including full kitchen, laundry, separate bedroom, and living quarters whilst still enjoying the amenities and services of the hotel including room service, pool, spa, and daily housekeeping. Two bedroom suites span 133-139 square feet and are lavishly decorated in the Four Seasons neo-classical furnishings. Apartment guests have access to their own rooftop, heated pool, Jacuzzi, and sauna. 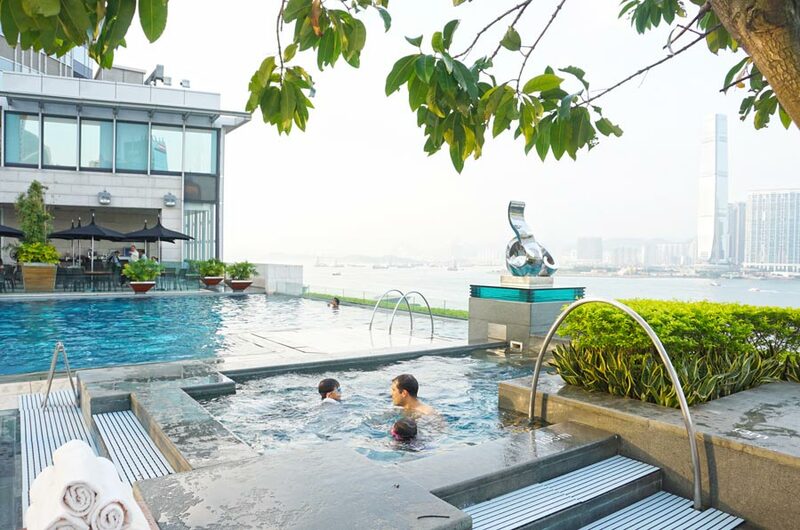 The serviced apartment complex also offers a sky lounge, 24-hour gym, and dedicated children’s playroom on level 11. The focus on family does not stop after check-in. 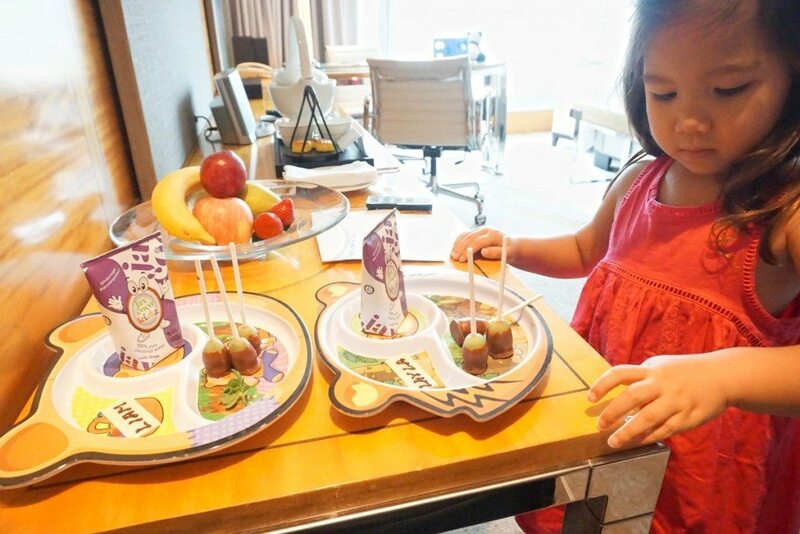 When kids enter their room healthy treats of coco-water and chocolate dipped grapes accompany hand drawn cards with thoughtful personalised welcome messages. 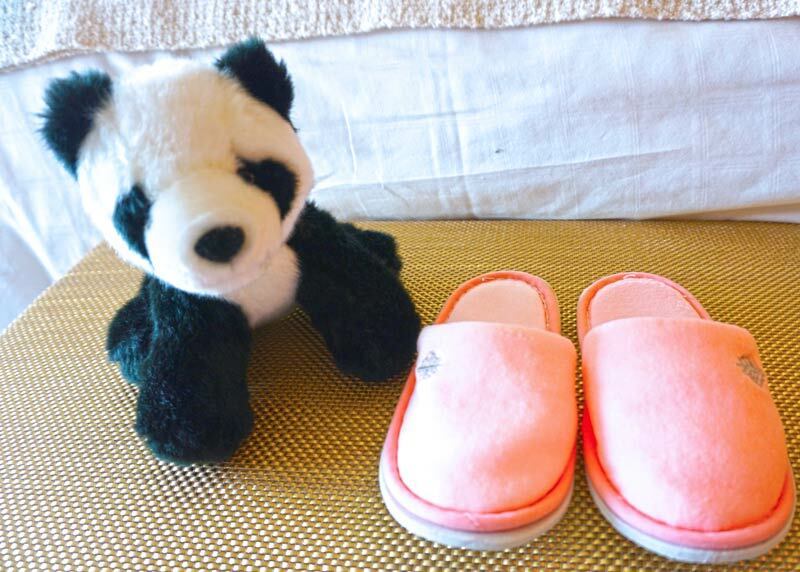 Mini versions of Four Seasons Hotel Hong Kong’s signature bathrobes and mini slippers are carefully laid out together with toys to play. 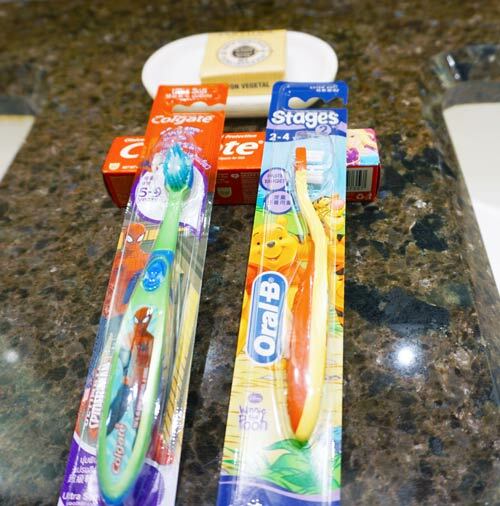 In the bathroom, kids’ toiletries including character toothbrush and toothpaste, bubble bath, and shampoo are provided. Bathroom featuring TV in wall. Infants are supplied with Mustela baby toiletries, disposable nappies, and a cot with linen and bedding on request. A bar fridge can be supplied for milk and formula storage. 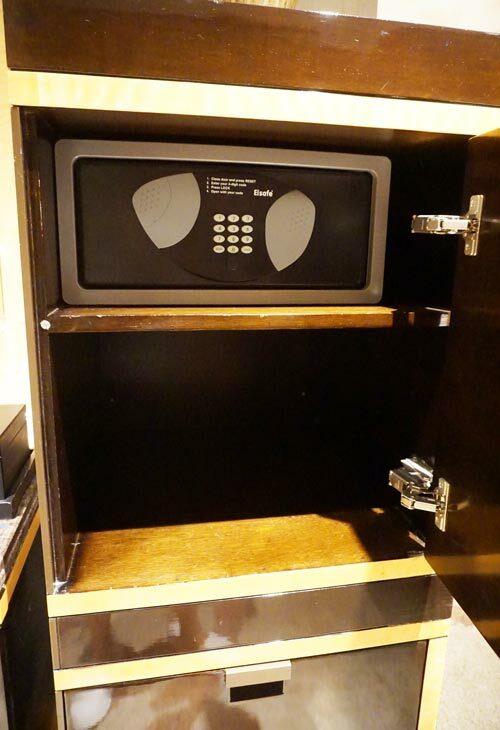 It’s all in the little touches, where door jams, sharp corners, and electrical sockets have been childproofed ahead of your stay. Nightly turn down is always included as a special treat for the kids, including brightly decorated cupcakes. Four Seasons Hotel Hong Kong. Turn down service for kids. All the mod cons are provided, including a 46 inch LED TV with a wide selection of cable channels including Disney Junior. There’s even a built in LCD TV set in the wall of the bathroom at Four Seasons Hotel Hong Kong. Bath time is breezy, with kids eager to wash up for a change. Try feeling a little less self-indulgent by switching the channel to local Cantonese cartoons, for language immersion. Kids will love being able to connect their devices at the same time as their parents on a fast and reliable complimentary WIFI service. There’s also the option of movies on the DVD player supplied. 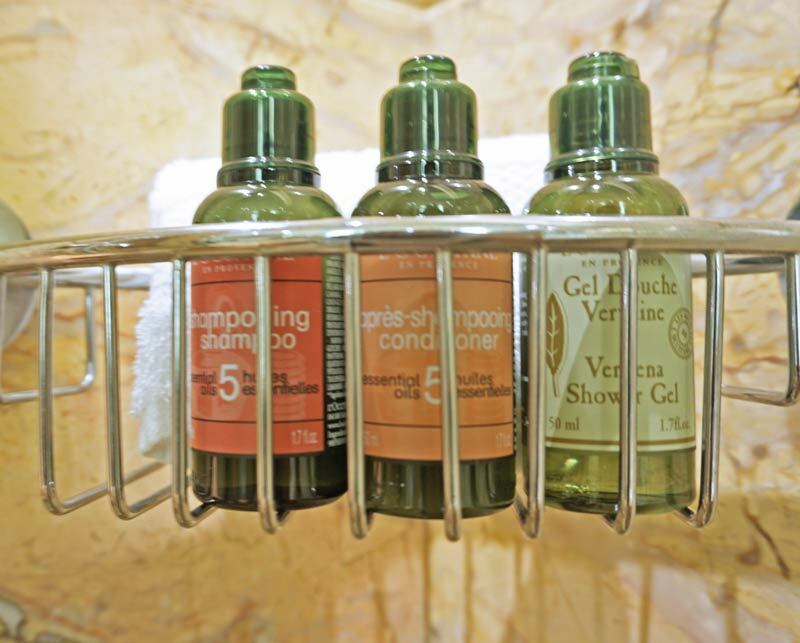 L’Occitane toiletries generously replenished daily. Daily China Post Newspaper free each morning. Adult version of the soft cotton bathrobes and slippers. Complimentary bottles of Fiji water and fresh fruit, replenished daily. Complimentary coffee and tea making facility complete with Nespresso coffee machine, offering a variety of gourmet flavours. Tea lovers have a variety of Asian and western tea options. Teapot, teacups, coffee mugs, spoons, and plates provided and attended to daily. Mini bar with a nice selection of beer, wine, spirits, and snacks. Wine glasses and bottle opener supplied. Spacious study and seating area. 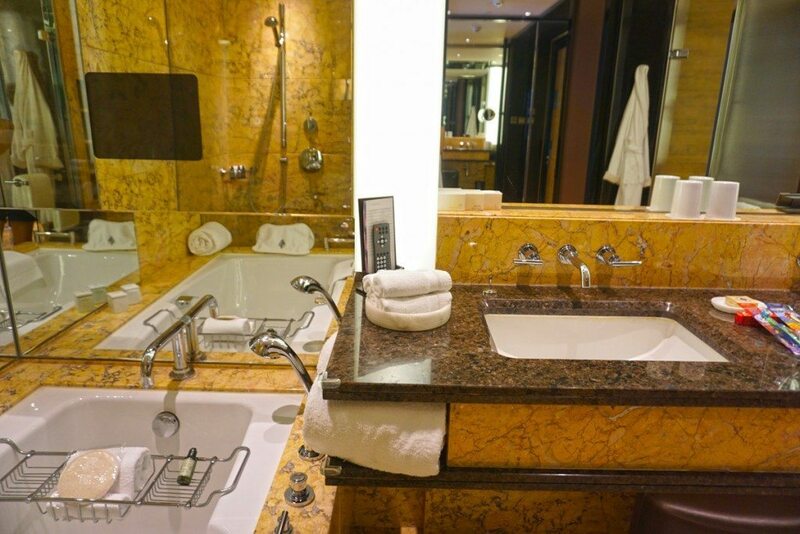 A spacious bathroom with rain shower, double vanities, and deep luxurious bath. 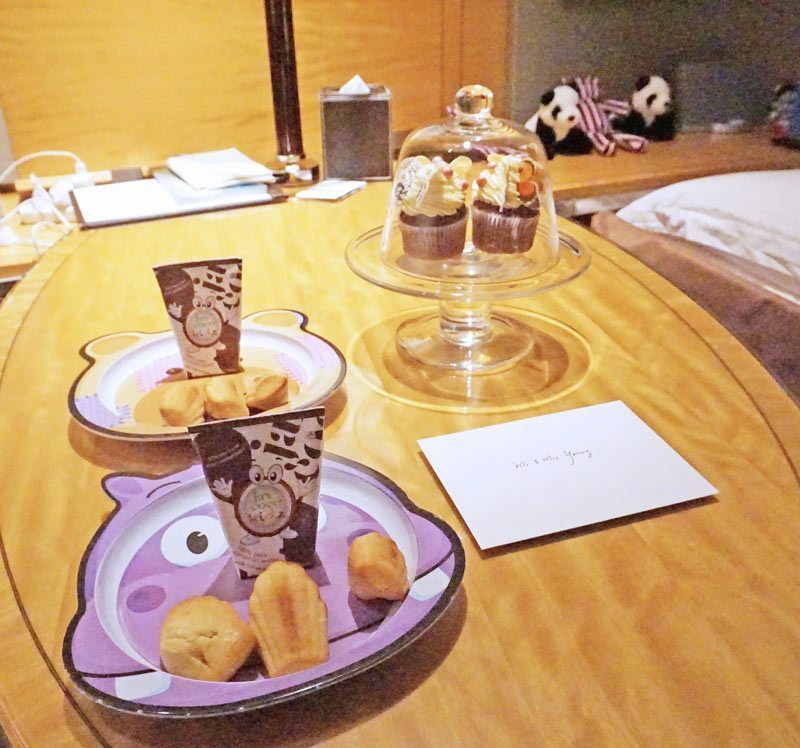 Twice-daily house keeping service with turn down sweets, including moon cakes, macarons, and cakes. Readily available WIFI without having to take turns with the kids. 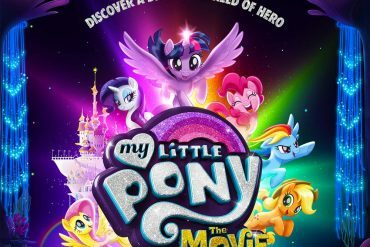 Movie on demand with recent selections. 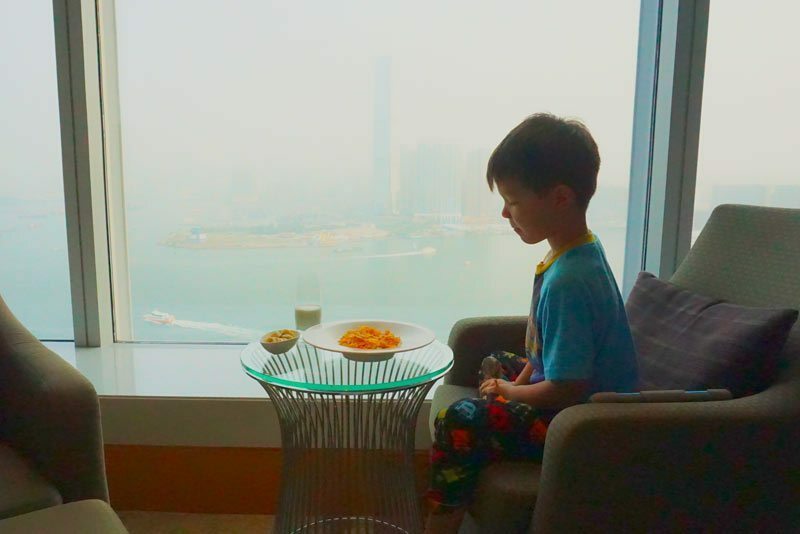 If the bars of Lang Kwai Fong beckon or you fancy experiencing Hong Kong’s glorious food scene sans kids, the Four Seasons Hotel Hong Kong can arrange babysitters for an hourly fee. Though the rates are high, it’s the price to pay for a reliable service that has been vetted and recommended by the hotel. Quality Health Care with English and Chinese speaking nurses provides in-room babysitting service. As nurses, they are experienced in caring for infants and toddlers as well as young children. 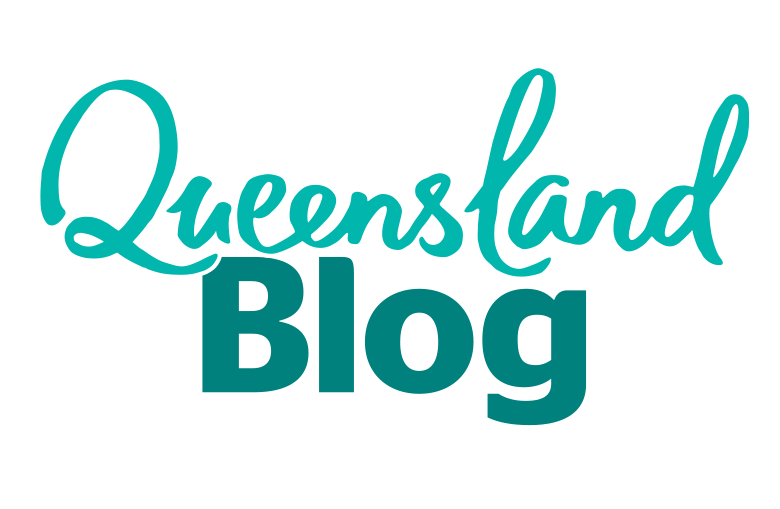 Babysitting staff are either registered nurses or enrolled nurses yet to receive qualifications. Enrolled nurses offer a lower hourly rate. Alternatively, as nannies are commonplace in Hong Kong, ask around for family or friends that may be able to recommend a casual babysitter. 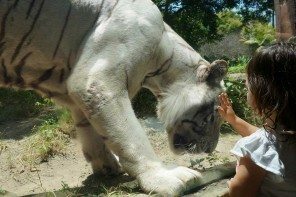 We were lucky to have a friend’s nanny available with a HK $60 hourly rate. Additional costs may include meals and HK $200 for taxi. QHMS rates start from HKD 550 per hour, per child for registered nurses, with a sliding scale where 12 hours costs HKD 2200. Enrolled nursers start from HKD 450 per hour, per child with a sliding scale where 12 hours costs HKD 1890. For the latest rates visit QHMS Nursing Agency website and download a rates sheet or contact Fours Seasons Hotel Hong Kong. Fee for babysitting is charge per hour for one child, two children are charged at 1.5 times the hourly rate. Rates as of January 2016 and subject to change, please check with Four Seasons Hotel for the latest rate. In addition, a taxi allowance of HK$100 will incur for nurses that will finish the service after 10pm. 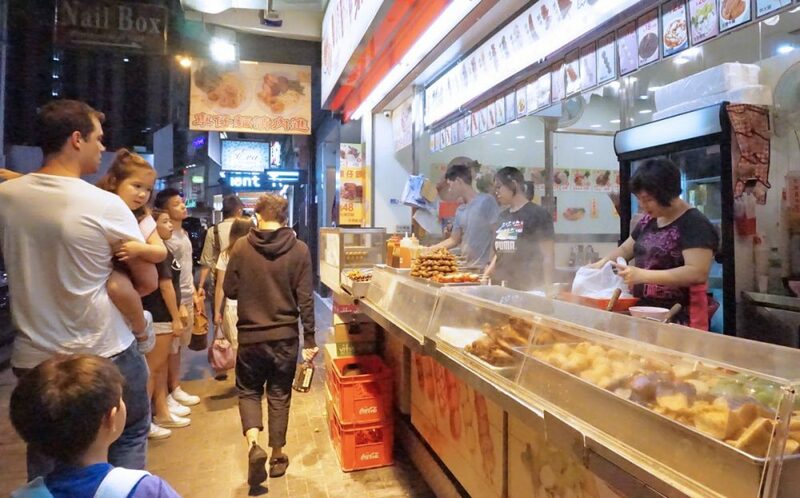 A charge of HK$200 is applied for services ending after 00:00am. The hourly rate increases by 1.5 times for a second child and double the hourly rate for two children if the typhoon signal is declared No. 8 or above. The taxi allowance will also increase to HK$200.00 during a typhoon. 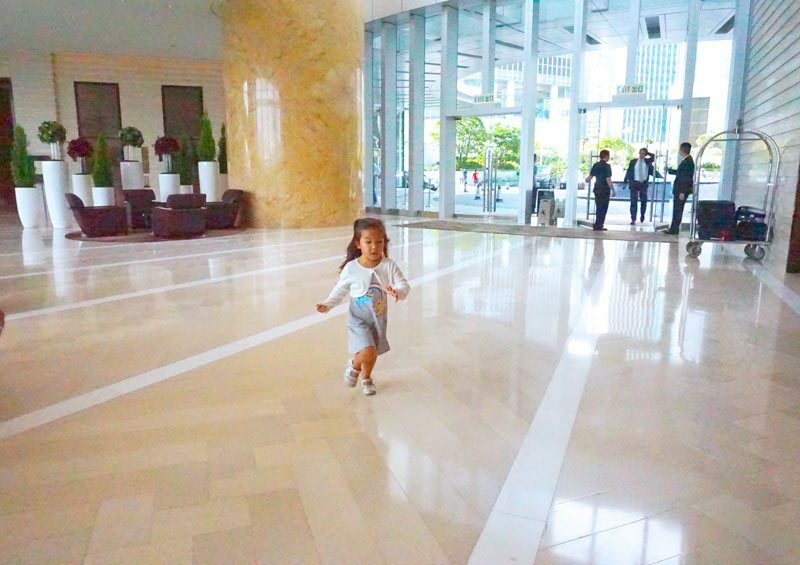 At least four hours is required for Four Seasons Hotel Hong Kong to arrange a babysitter. At least three hours notice is required for any amendment or cancellations with a surcharge of HK$200. Payment can be made directly to the babysitter or can be charged to the room. Travel to Four Seasons Hotel Hong Kong in style by hiring a private airport transfer with complimentary meet and greet service at the airport. Choices include a 6 seater Toyota Van for HK $1600. Families of 3 can choose between a Mercedes Benz S300 for HK $1300 or Bentley Continental Flying Spur for HK $2,500 for a more luxurious ride. There’s no need to battle the masses on the MTR or experience communication fails with Hong Kong Taxis. 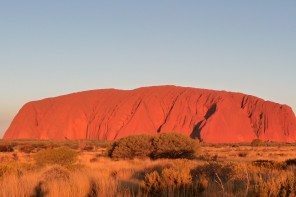 The limousine service can be hired with a minimum of 3 hour intervals with option of a personalised itinerary with a private tour guide. When jet lag sets in, it becomes an effort to dine out with kids. 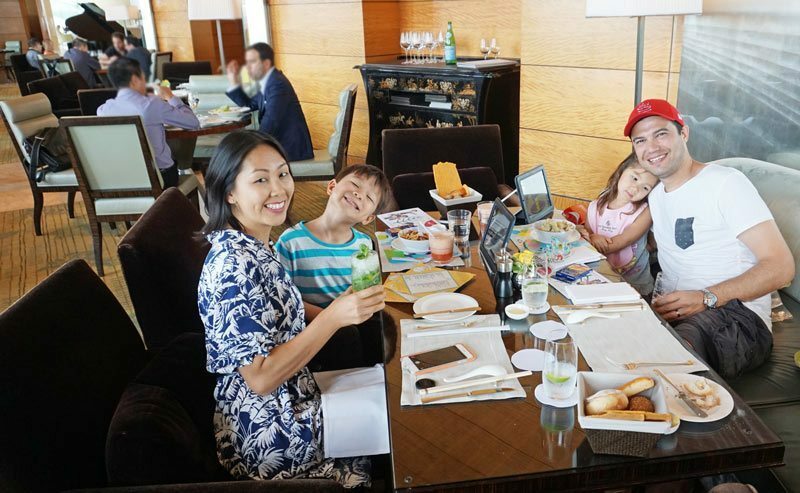 Luckily, Four Seasons Hotel Hong Kong offers a diverse in-room dining menu with options that appeal to all family tastes. Breakfast set menus range from American, Continental, Hong Kong, and Japanese, as well as a-la-carte options such as toast, eggs, yoghurt, and cereals. Hong Kong set breakfast costs HKD 315 and American hot breakfast costs HKD 325. 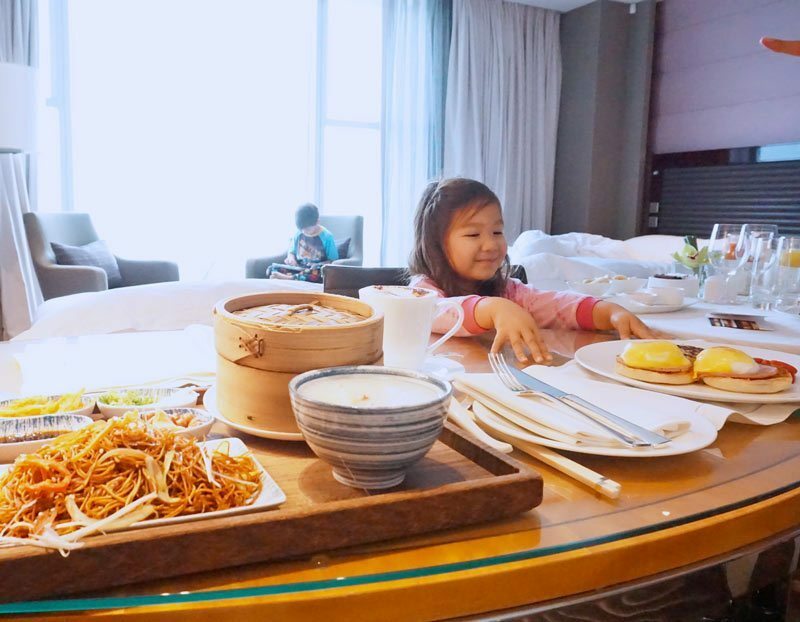 Kids can comfortably dine in their PJs in the comfort of the hotel room. 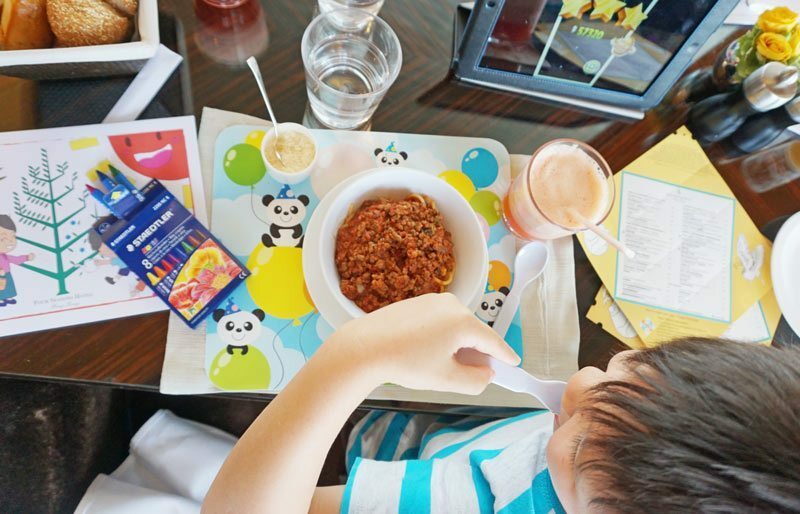 Kids have their own Children’s Menu for dining in-room. Small portions are available for kids up to 8 years old or larger portion menu items for kids aged 9-12 years. Breakfast choices include an egg with bacon, chocolate chip pancakes, noodles, congee, or mini waffle. All day kids menu selections include wonton noodle soup, mini burger, fish and chips, and pizzas. 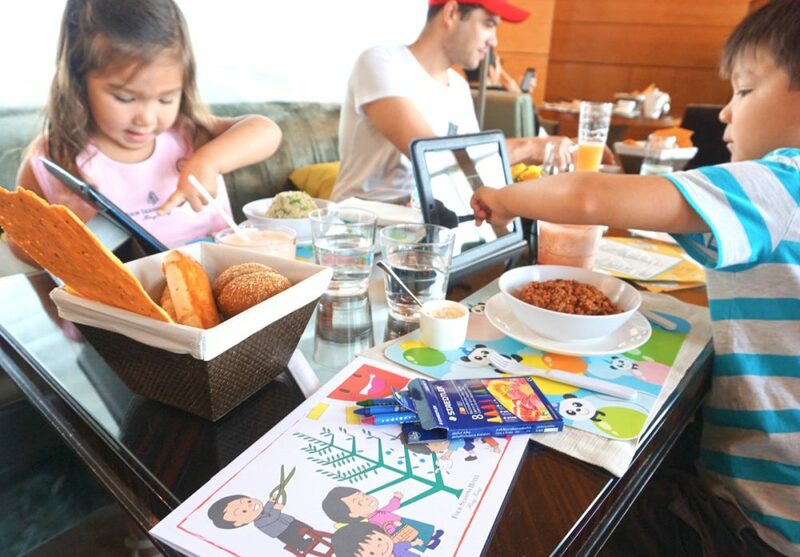 Kid friendly menus are not limited to the hotel room but also offered throughout the Four Seasons Hotel Hong Kong restaurants. Small portions start from HKD 65 and large portions from HKD 90. Four Seasons Hotel Hong Kong boasts two Michelin starred restaurants, one of which serves possibly Hong Kong’s most family friendly cuisine, delicate parcels of handmade dim sum. Lung King Heen is the first Cantonese restaurant awarded three Michelin Stars with renowned executive chef Chan Yan Tak at the helm. 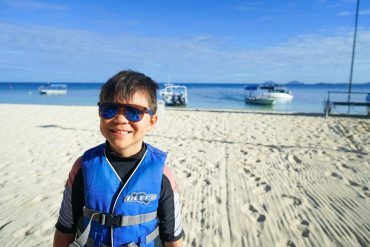 Adventurous junior foodies can also order from a Children’s Menu which includes Steamed Egg With Milk Custard, Shrimp Wonton with Udon, or Scrambled Egg with Shrimps. 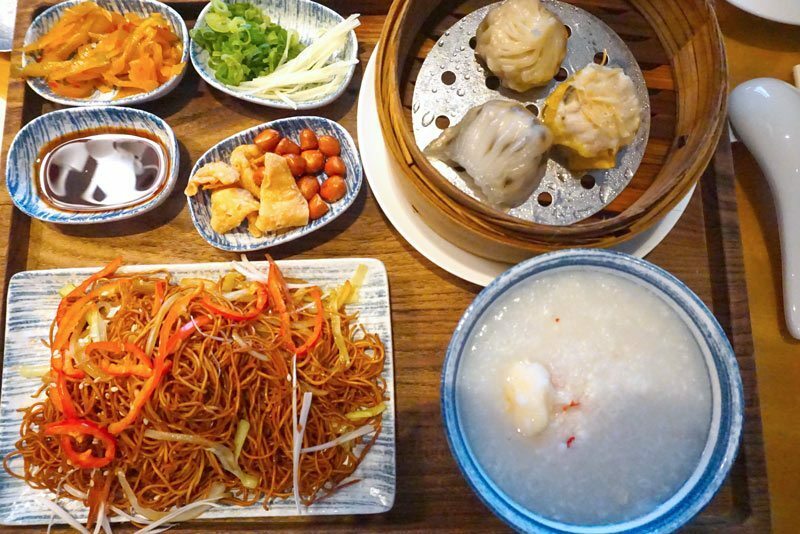 Dim Sum starts at HKD 78 per piece with the Executive lunch priced at HKD 560. Children’s menu starts from HKD 120. If planning to dine here, it’s important to book at least two months ahead to avoid disappointment. The Lounge offers all-day dining in a light, bright, and decadent setting. Do not let the luxurious soft furnishings and sophisticated air deter you from having a lunch with the kids. 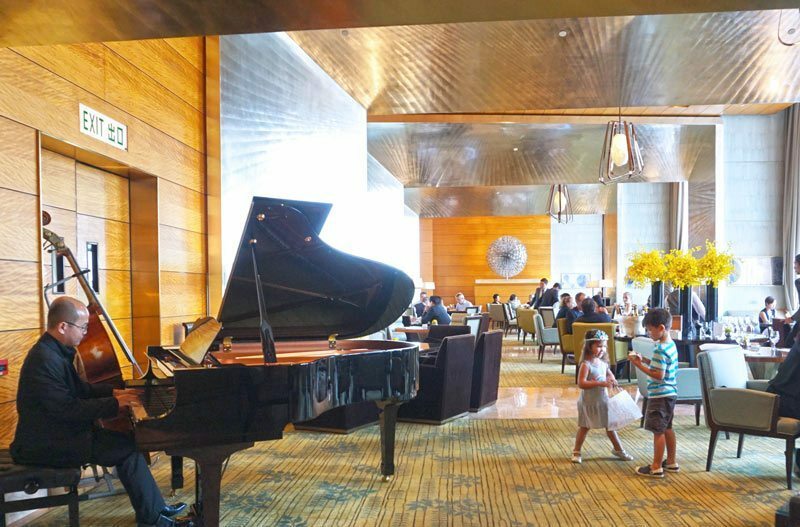 It’s surprisingly family friendly, they make it so by planting enough entertainment to keep kids happy, content, and occupied so parents can enjoy a delicious meal together accompanied by live piano music. Attentive staff waits on kids as if they were royalty, welcomed as the kids seem to be lapping it up. 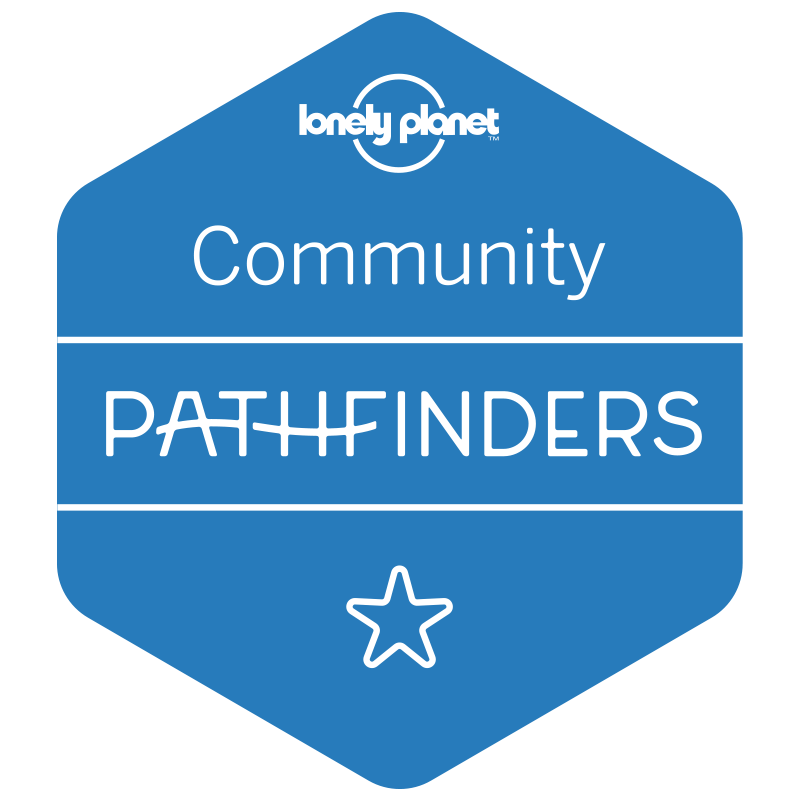 They are kept engaged with colouring sets and paper crafts as well as their very own borrowed iPad loaded with fun new apps. The Children’s Menu is a clever balance of western and Asian cuisine. Choose from wonton noodle soup, egg fried rice, spaghetti bolognaise, and mini hamburgers. Kids love the fresh fruit, smoothies, and dessert options, including hokey pokey ice cream. Parents also have a diverse selection of meals to choose from. There’s Alaskan King Crab Salad, Spanner Crab Risotto, Hainan Chicken, Sweet and Sour Pork, and Prime Beef Tenderloin from the Grill. Delectable desserts include an assortment of French pastries, Mango and Sago pudding, and Chocolate Pave. Main meals start from HKD 220 and desserts from HKD 140. The Lounge is open for Breakfast at 6:30am-11am, All-day dining 11am-11:30pm, and Afternoon Tea from 3:00pm – 5:30pm. 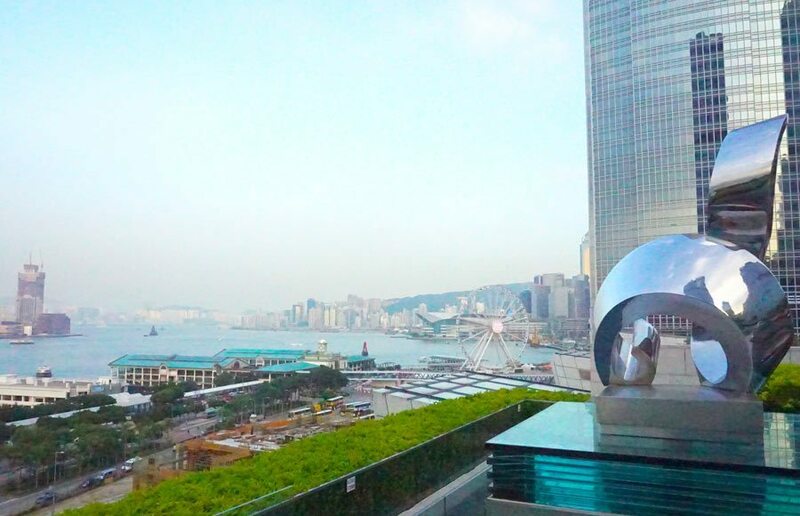 During the day the Blue Bar is the Four Season’s Hotel Hong Kong buffet dining option, with seating in cabaret style tables surrounded by hues of blue, touches of gold velvet, and harbour views from floor to ceiling glass windows. The small but well executed buffet includes a selection of continental and Asian choices. Breakfast includes cereals, yoghurts, deli meats, fresh fruit, dim sum, and congee. Lunch offers a roast of the day, soups, salads, curries, and a variety of sweet treats. Kids under 6 accompanied by an adult eat free. Breakfast is served daily between 7:00am and 10:30am. Lunch between Noon – 2:30pm. At night the Blue Bar transforms into a chic Hong Kong cocktail hotspot where you can choose from 88 blue cocktails including their signature Blue Martini. There’s also a wide selection of premium beers, wine, and spirits. From 5:30pm to 7:30pm during Blue Hour, complimentary snacks are served including mini wagyu beef sliders and fried calamari to start the evening off. Every Friday and Saturday live music and entertainment is provided for guests including Jazz themed nights and international artists. Cocktails range from HKD 135, draft beer from HKD 85, and champagnes from HKD 130 per glass. Located on the 6th floor by the infinity pool is the Pool Terrace where guests can enjoy a casual alfresco meal with a menu emphasising light and healthy choices. Choose from salads, sandwiches, and healthy mains including a Quinoa and Chickpea Burger, Steamed Salmon, and crushed avocado toast. 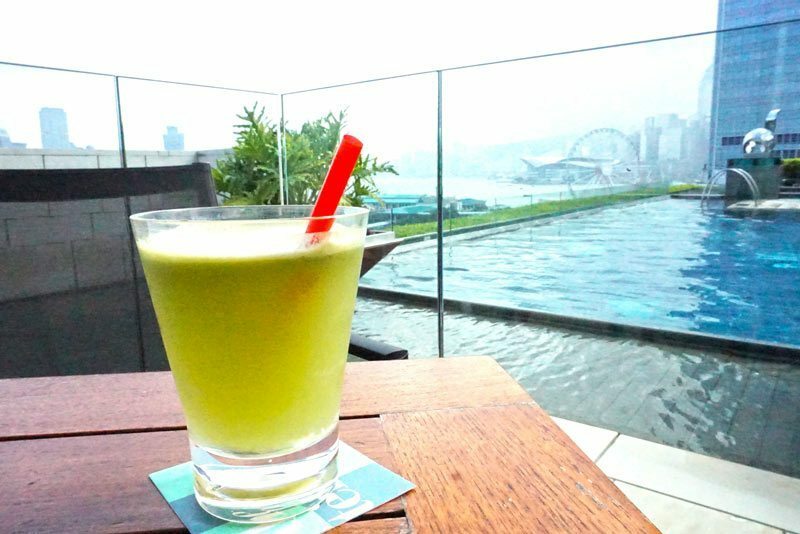 Families can hydrate poolside with fresh fruit smoothies and soak in the city views. Footwear and cover-ups are required in the seating area. Open from 7am – 11am for breakfast, 11am – 6pm for lunch, and 10am – 9.30pm for beverages. Salads from HKD 215 and smoothies from HKD 110. Gilded mirrors, French tufted armchairs, crystal chandeliers, gold accented tableware, and stunning views from the 6th floor set the scene for Four Season’s Hotel Hong Kong Michelin two star Caprice restaurant, serving contemporary French cuisine by Executive Chef Fabrice Vulin. The restaurant prides itself on fresh daily produce flown in from France, prepared in the open Kitchen. It offers a phenomenal selection of artisanal cheeses and exclusive French wines. The menu offers decadent options including Poached Duck Fois Gras, Roasted Brittany Lobster, Carmelised Pigeon Breast, and you can’t go past the selection of Fromage for dessert. Although kids 3 years and older are welcomed, it’s best to leave the kids with a sitter to fully enjoy a nice long refined wine paired dinner. Chef’s set menu from HKD 1,990 per person. Open for lunch from Noon – 2:30pm and Dinner from 6:30pm – 10:30pm. If planning to dine, it’s important to book at least one month ahead to avoid disappointment. 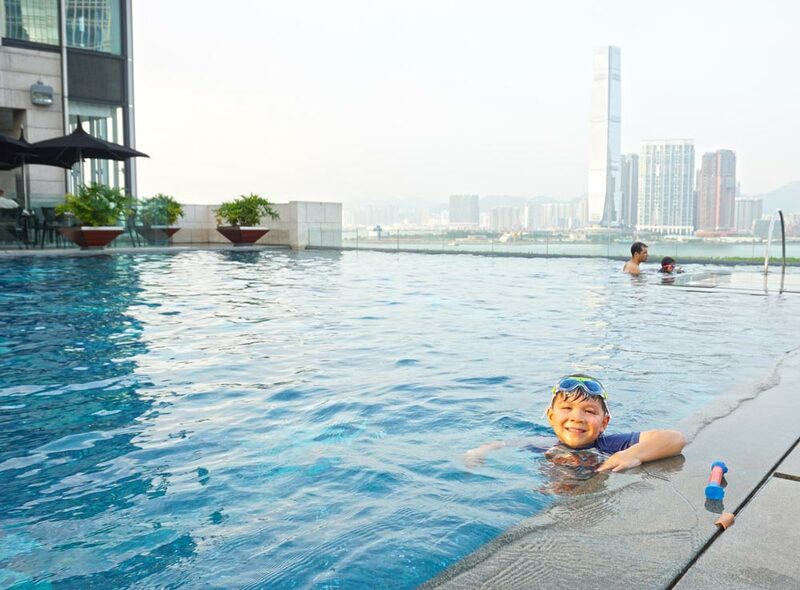 It’s arguably the best pool in Hong Kong, perched 6 floors up on the edge of Victoria Harbour, with a backdrop of Kowloon City skyline and unobstructed harbour views. To top it all off, classical music is played underwater for the enjoyment of submerged pool guests. 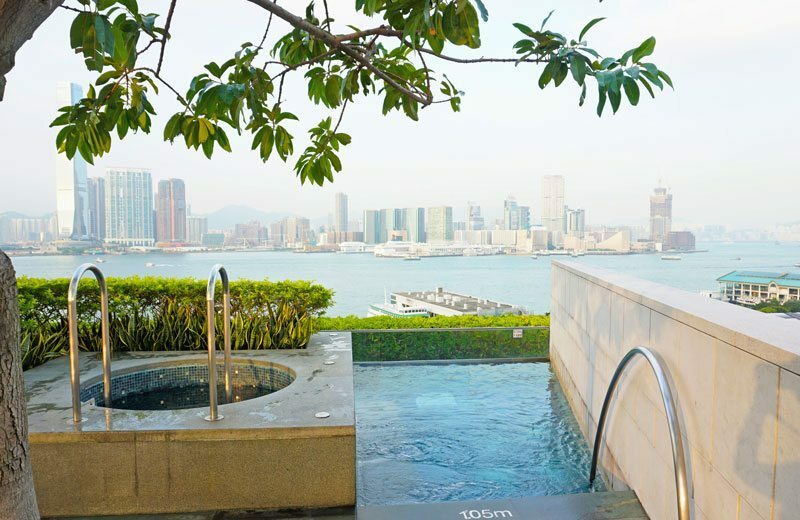 The sleek modern and expansive terrace pool at Four Seasons Hotel Hong Kong is positioned right in the heart of Hong Kong, offering a resort style atmosphere amidst neighbouring skyscrapers. Adding to the ambience is the idyllic water temperatures, heated perfectly even for the most fastidious of casual swimmers. Frigid plunge pool and lap pool. Four Seasons Hotel Hong Kong. For those wanting to wake up and reinvigorate, there’s also a deep and frigid plunge pool. For those that want to unwind there is a whirlpool with excellent views. 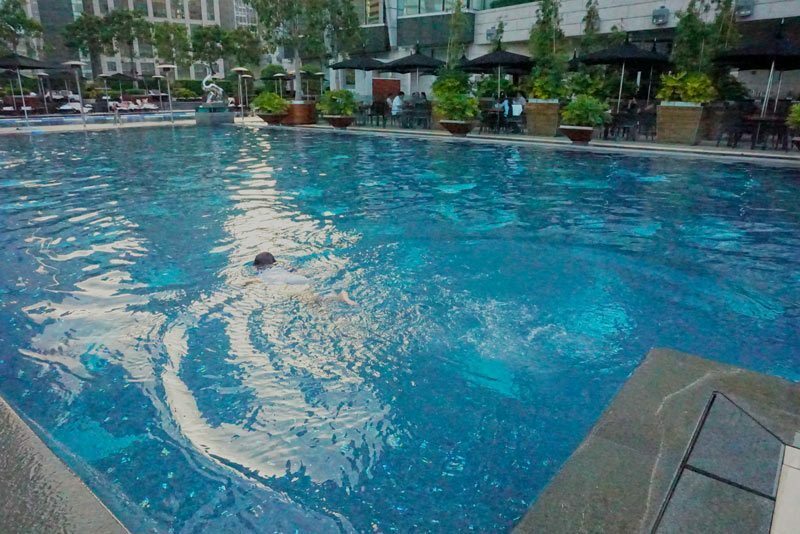 For the serious swimmers, beside the infinity pool is a separate 20-meter lap pool. Cushioned lounges surrounding the pool invite guests to relax poolside with staff ready to take beverage orders or bring over fresh towels. 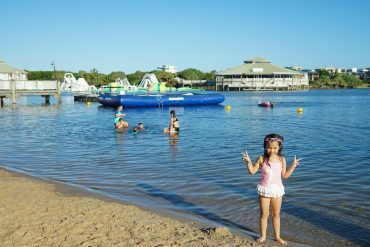 The attentiveness of the pool staff is commendable, eager to interact with the kids, efficient on tidying up abandoned pool lounges, and quick to offer pool floats and fuss over a brave little girl who thinks they can swim. The shallowest end of the pool is still over 1 metre deep and gets deeper toward the pool’s infinity edge. Keep kids at arms distance and use safety flotation devices. After a long day navigating foreign city streets, rubbing shoulders with the masses on the MTR, and queuing up in the humid heat at Disneyland, there is nothing better than coming back for a rewarding splash in the pool. The kids could not get enough. If you have an hour to spare, indulge in a Luxury Manicure or Pedicure at The Nail Bar. You can even bring the kids; as mum gets a customized treatment, little fingers and toes can be treated to an adorable Jelly Bean Manicure and Pedicure using eco-friendly and sparkly rainbow polishes. There are also 30 minute express mani and pedi’s for both mum and daughter. Dads are not left out, with an Executive Grooming 60-minute package where fingers and toes can be buffed, groomed, and cleaned whilst sipping on a glass of whiskey. 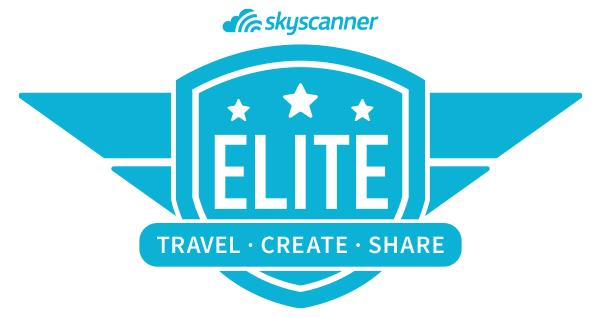 Monday – Thursday rates are slightly less than the Friday – Sunday bookings. Luxury Manicure from HKD 700, Executive Grooming from HKD 1,200, and a Jelly Belly Manicure from HKD 400. Prices are subject to change, view latest rates here. 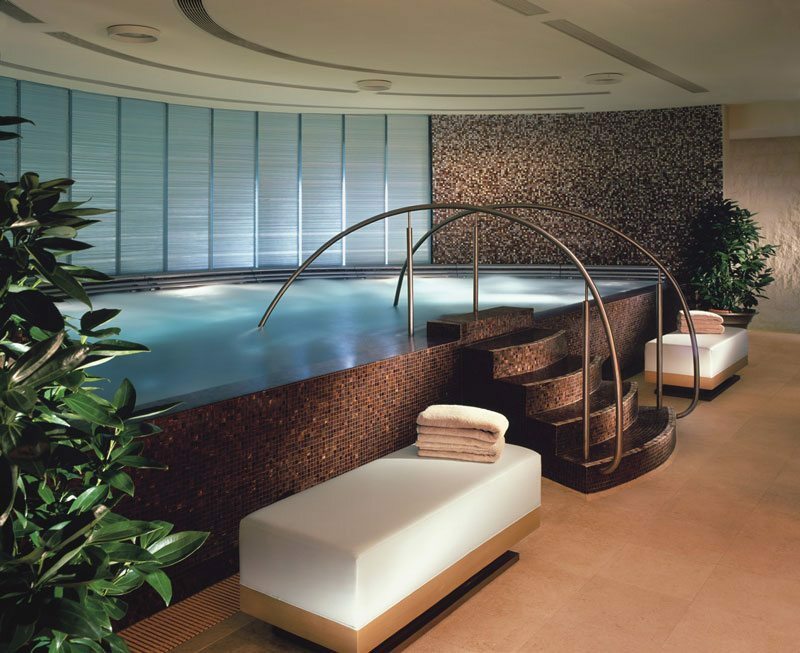 Indulge in a variety of decadent spa services. Massage choices include a rejuvenating Ayurvedic massage with essential oils, a traditional reflexology massage combining Chinese techniques, or the popular Jade Stone Therapy Massage which uses heated jade stones for a full-body deep tissue stone massage. There’s also a wide selection of facial treatments ranging from a facial lift using a M6 suction and rolling technique designed to lift facial muscles, a facial peel to detox impurities caused by city living, or Diamond Touch microdermabrasion to cleanse and resurface the skin. 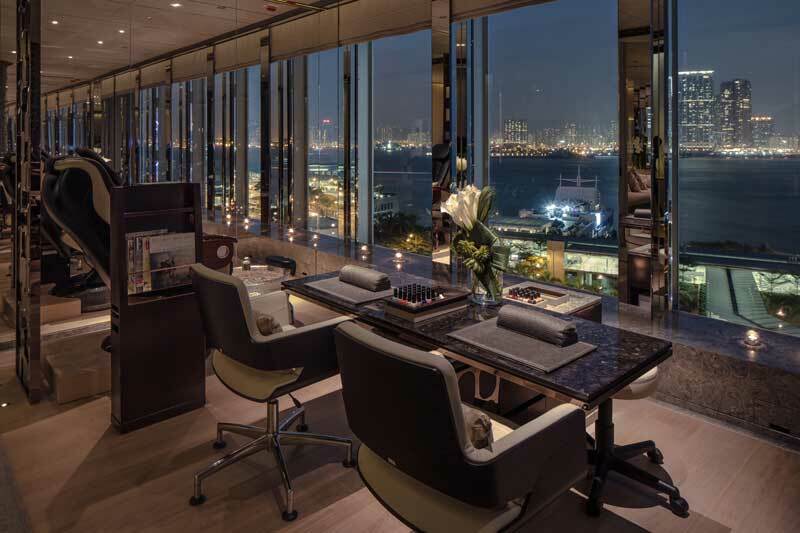 Treatment rooms all offer oversized window views of Victoria Harbour and spa guests have complimentary use of the Vitality Lounge. Men have access to a flotation tank and Finnish sauna. Women have free use of the rhassoul chamber and steam room with ice fountains to cool off. All guests have fluffy cotton robes and slippers to use and access to a serene waiting area with steaming herbal teas, infused waters, and homemade marshmallows. 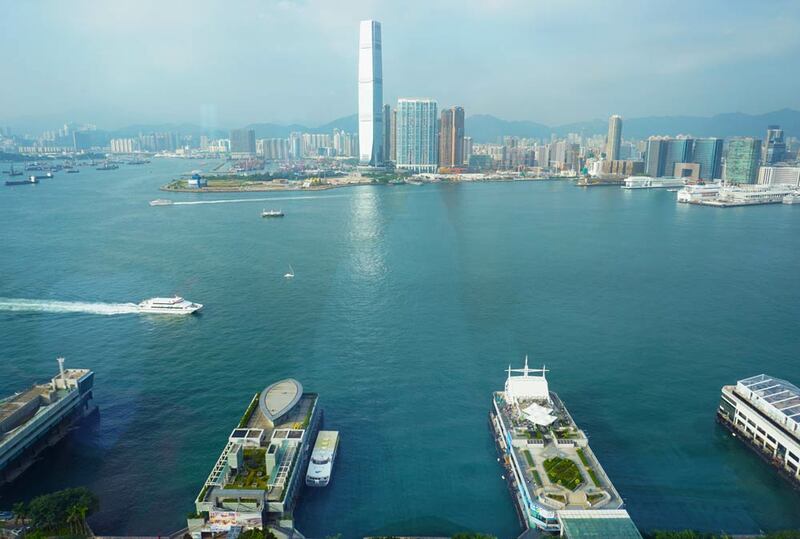 Guests working out at Four Seasons Hotel Hong Kong’s state of the art gym have panoramic views of the Harbour and Kowloon from floor to ceiling windows. Parents cannot use the excuse of not packing gym gear as exercise wear is available for use. The fitness centre also includes complimentary water, juice, and fresh fruit. The 24-hour Fitness Centre has the latest machines equipped with touch screen TVs and headphones. There is a vast array of weight training and cardio equipment including pilates stretchers, bikes, rowers, and strength trainers. A separate studio is available for Pilates and Yoga. On the weekends, there are complimentary one-hour Tai Chi classes where kids are welcomed. The Four Seasons Hotel Hong Kong is connected to the International Finance Centre business and shopping complex. 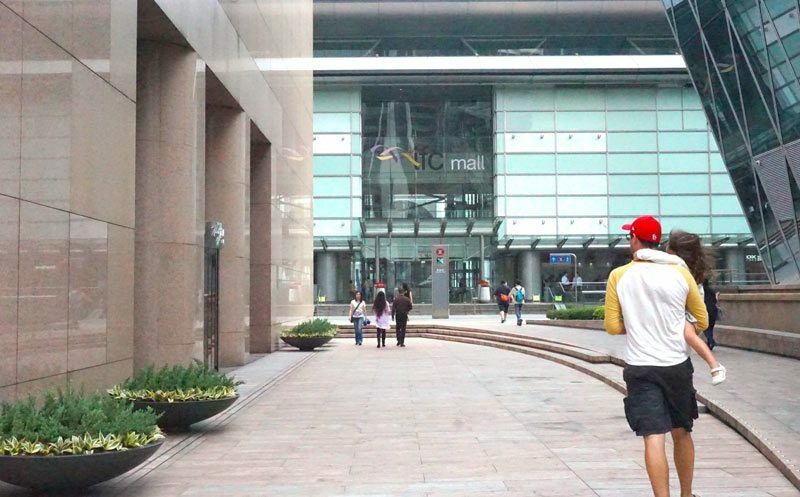 Known as the IFC Mall, families can walk to the 88-story building without battling the natural elements including stifling humidity and typhoon inducing storms; all but perhaps the artic air-conditioning synonymous with indoor Hong Kong living. IFC Mall oozes luxury shopping with high-end retailers such as Bvlgari, Jimmy Choo, Valentino, and Hugo Boss. The mall is dispersed with international high-street brands including Victoria’s Secret, Zara, and Nine West. There’s also an Apple Store and the chic department store Lane Crawford. The basement houses City Super, a premium supermarket stocking imported fresh produce and organic fruit and vegetables as well as upscale household items and organic baby food and formula. Free delivery is offered after a certain spend. For medical or baby essentials, Mannings Plus is a drugstore that also stocks baby essentials including international nappy brands Huggies and Pampers. 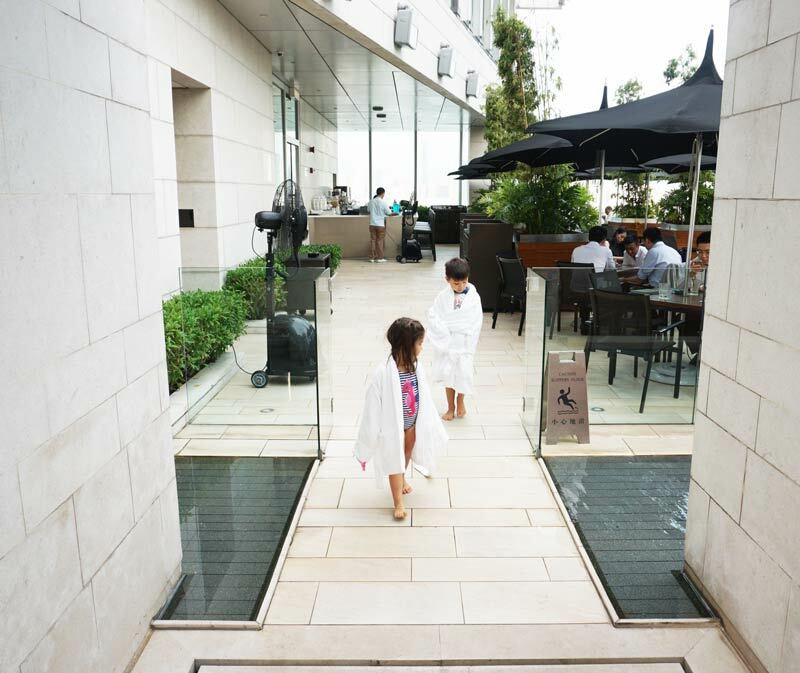 Superbly positioned in the heart of Hong Kong’s Central district, you are only a 10-minute sheltered walk with the kids to the IFC Mall and the MTR’s Central Station and Hong Kong Station. 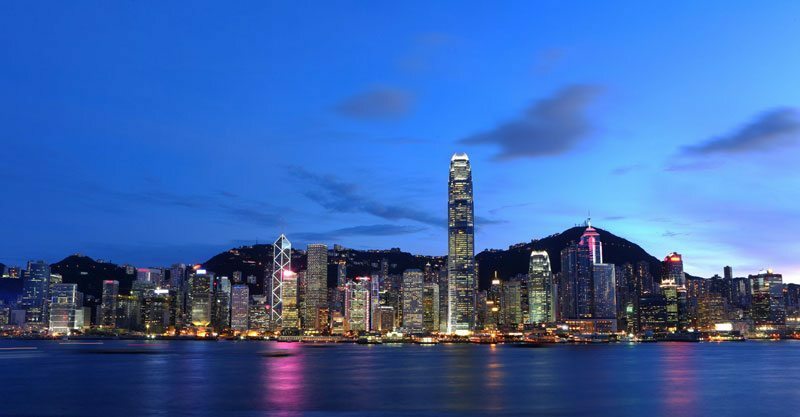 From there, access any of Hong Kong’s attractions, including Hong Kong Disneyland, the Big Buddah, Ocean Park, Wong Tai Sin Temple, as well as direct access to the airport via the Airport Express service. The Macau Ferry Terminal Shun Tak Building is 700m away or a 10-15 minute walk with kids. 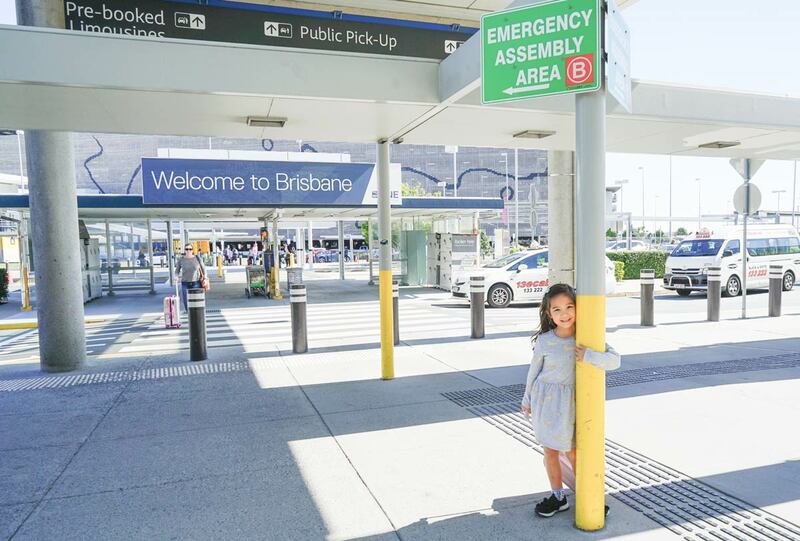 If carrying both luggage and kids, opt for a short and inexpensive taxi ride (around HDK 40) Request to go via Man Kwong Street along the harbour front past the Maritime Centre (1.6km drive) rather than the lengthier drive on Connaught Road (2.6 km drive). 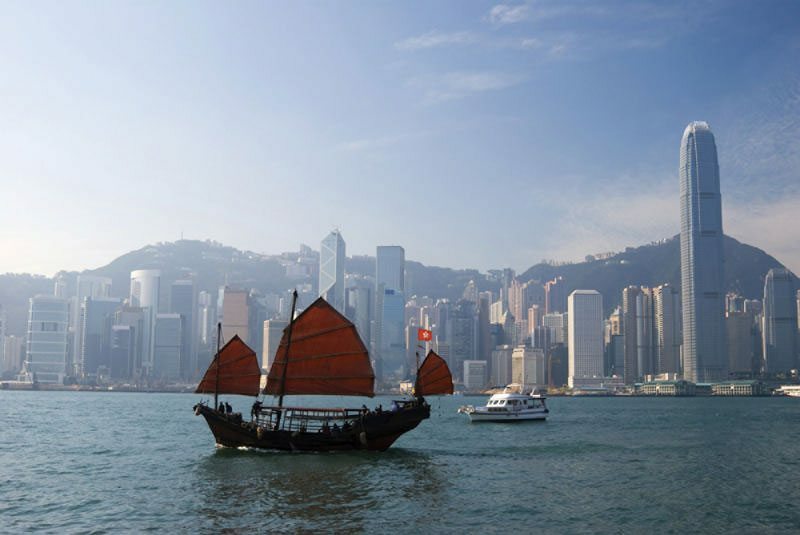 Stroll 650 meters (15-minute walk with kids) to the Central Star Ferry Pier and take a Star Ferry across Victoria Harbour to the historic Tsim Sha Tsui Ferry terminal in Kowloon, which has faithfully ferried passengers since 1888. After land reclamation, the journey ends as quick as it starts. 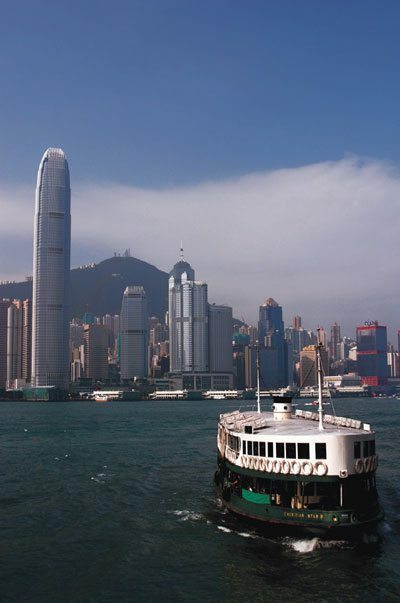 A return trip aboard the charming Star Ferry can be done and dusted in 30 minutes. There are also one-hour harbour tours which, take in the nightly Symphony of Light laser show. A short 15-minute walk with kids from the Four Seasons Hotel Hong Kong, on the way to the ferry terminal, is the Hong Kong Observation Wheel, where families can take a spin. Each ride consists of three rotations of the wheel and takes approximately 15 minutes, though wait times can be longer than the ride, depending on the time of day. Right next to the Central Star Ferry Terminal are a series of private ferry terminals, operating independent ferry services to the Outlying Islands. Families can conveniently day trip to Pen Chau, Cheng Chau, Lamma Island, Discovery Bay, and Lantau Island. 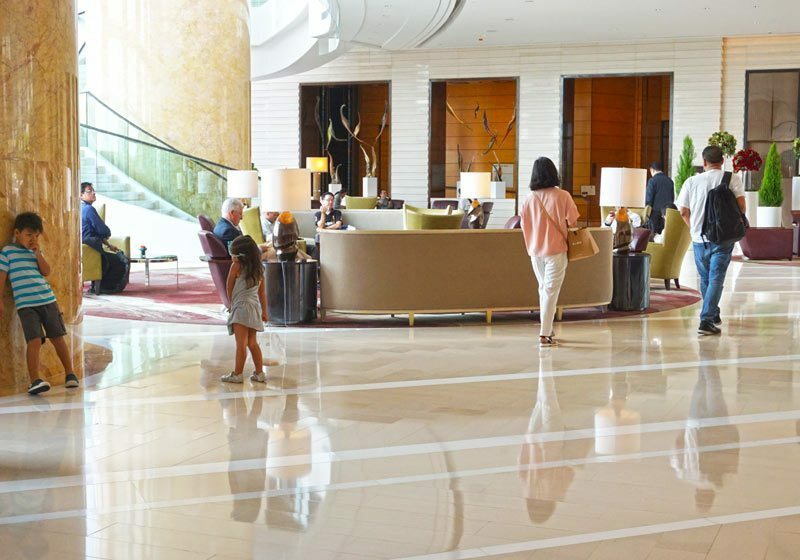 A convenient and relatively inexpensive option to get to the Four Seasons Hotel Hong Kong is via taxi, particularly for families with more luggage and kids than there are hands. Taxis are readily available at arrivals and the journey takes approximately 45 minutes. The taxi fare from Chek Lap Kok to Central is approximately HKD 295 – HKD 320 depending on traffic. Taxis can charge a discretionary HKD 5 per luggage for every piece of luggage, including prams. Taxi drivers have a good command of English and can navigate to the well-known hotel. Most taxis accept cash only in small denominations, i.e. less than HKD 500. Families can pre-book a Four Seasons Hotel Hong Kong Limousine Service with personal meet and greet service at the airport. 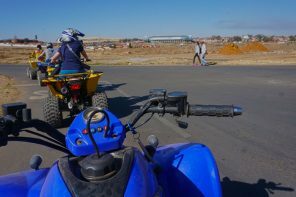 Staff will transfer families in air-conditioned comfort, bypassing taxi queues and providing an extra pair of hands to help with all the gear. Prices from HKD 1,600 for a six seater Toyota van. 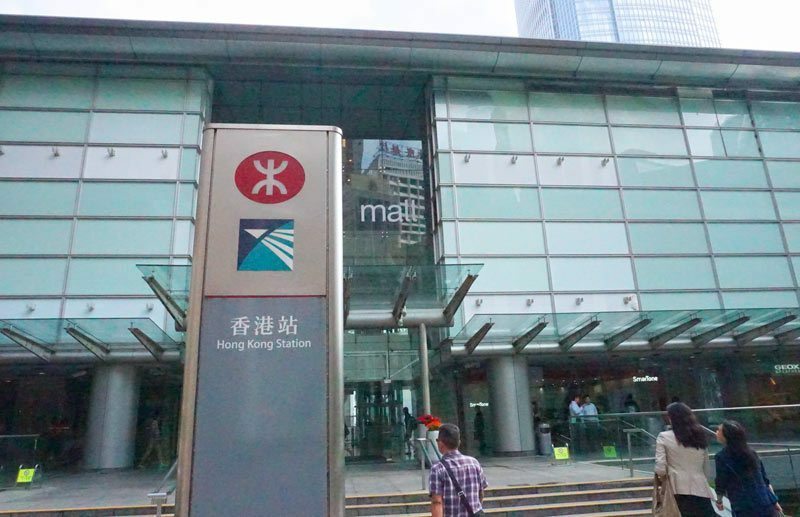 The Airport Express train service is the fastest option for families, departing directly from Chek Lap Kok International Airport to Hong Kong Station in the IFC Mall. 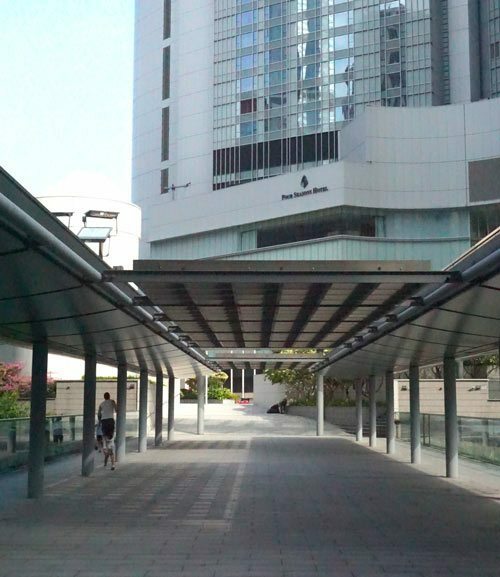 Families can then walk 10-12 minutes within the complex to the connected Four Seasons Hotel Hong Kong. Trains depart the airport terminal every 10-12 minutes with a journey time of 24 minutes. Families can bypass road congestion and taxi queues with the added bonus of air-conditioned comfort and free use of WIFI. Airport Express fares cost HKD 100 per adult for a single trip; round trip fare is discounted at HKD 180 per adult. 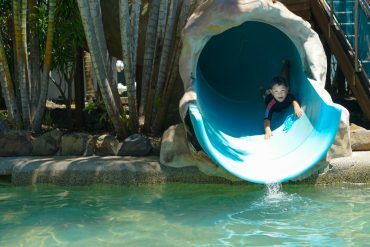 Kids aged 3-11 years cost HKD 50 per trip. There’s no discounted round trip fare for children. Kids under three years ride free. Ticket machines are available to accept cash or credit card. Or you can pre-book your trip online. If arriving by cruise ship, be mindful there are two cruise terminals in Hong Kong. The Kai Tak Terminal is the recently built main cruise terminal, positioned where the old Hong Kong airport once stood. Some cruise ships drop passengers off at Ocean Terminal, closer to the action in Tsim Sha Tsui. Both are on the Kowloon side. Taxis to the Kai Tak Cruise Terminal take approximately 45 minutes depending on traffic, with fares estimated at HKD 300*. Taxis to the Ocean Cruise Terminal take approximately 30 minutes depending on traffic, with fares estimated at HKD 120*. *Estimated fare only. Taxis can charge a discretionary HKD 5 per luggage for every piece of luggage including prams, as well as the cross harbour tunnel fee. 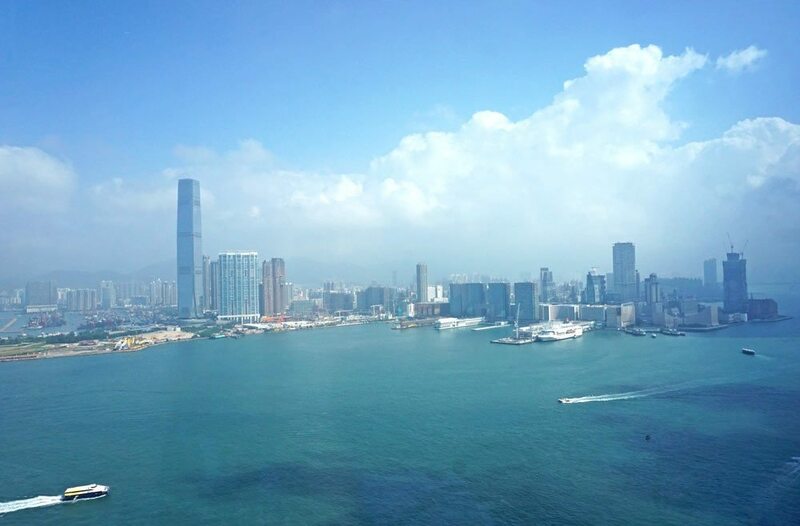 Room rates at the Four Seasons Hong Kong start from HKD 4,200 for a deluxe peak view room ($766 AUD), and prices are higher for harbour views. Luxury prices are extended throughout the hotel i.e. a bowl of room service cornflakes is charged at AUD $10. The Four Seasons Hotel Hong Kong makes no apologies for being one of Hong Kong’s most prestigious hotels with an exceptional reputation for five-star service, and all of this comes at a price. Families are paying for luxury and will receive nothing but the best. The hefty price tag also means that the clientele are either on a business junket where the company is forking the bill or of a certain sophisticated clientele including couples without kids. On one occasion a fabulous looking couple made a shooing gesture when the kids swam by their lounges at the pool, much like swatting at nuisance flies. Equally as surprising were warm friendly greetings in lifts and at lobbies from businessmen missing their kids. All in all guests were kind, exercise good behaviour in public spaces. Common courtesies and heightened awareness of children’s behaviour in public areas is recommended. Children are treated like little Lords and Ladies in opulent surroundings, which can distort a child’s sense of reality. 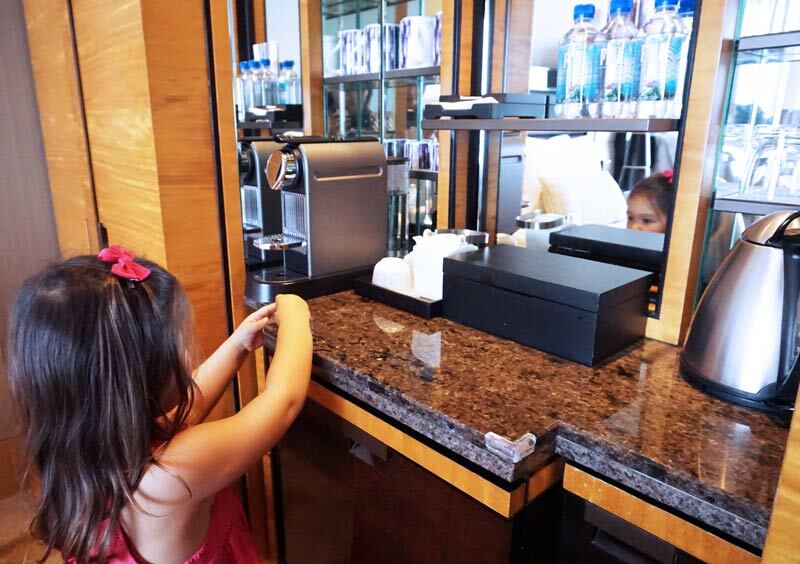 Kids settle quickly into a privileged environment where doors are quick to be held open for them and a nightly turn down service offers tasty goodies. 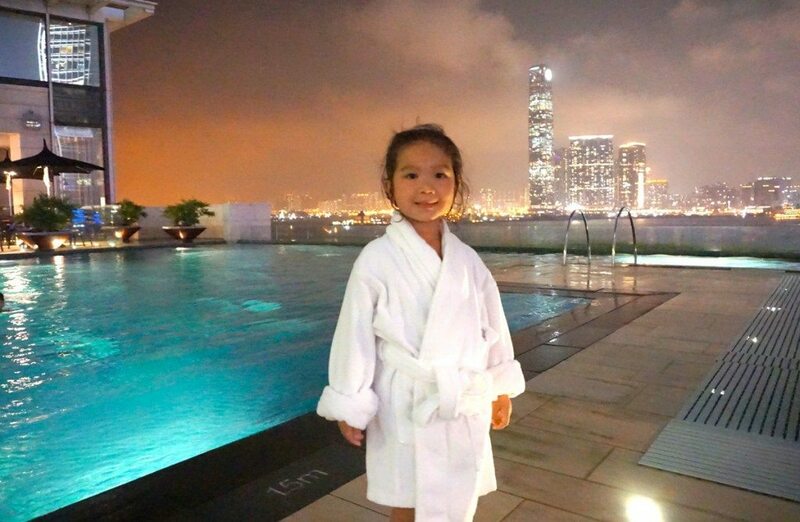 So much lavishness has kids missing the real essence of Hong Kong. 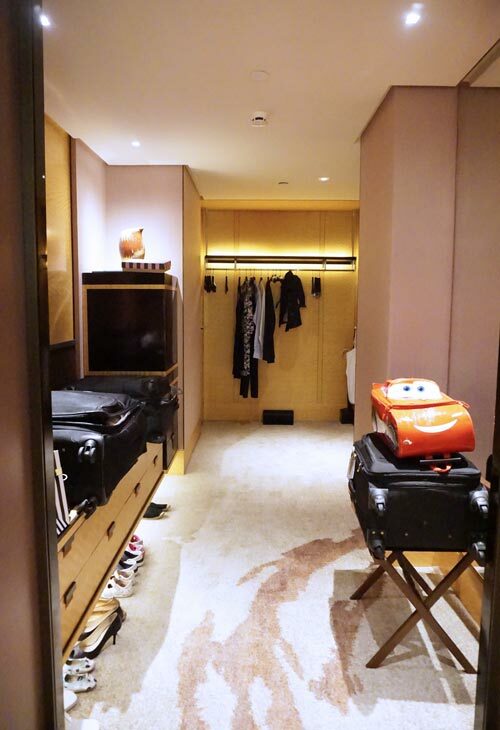 Fortunately, it’s easily fixed by stepping outside of the comforts of the Four Seasons Hotel Hong Kong. Kids can gaze up at the gritty apartments stacked on top of each other and be reminded of how fortunate they have it, walk through the markets and take in the sights and smells, or slurp a bowl of noodles at a Dai Pai Dong with the locals to bring them back down a notch. We paid media rates for our stay at Four Seasons Hotel Hong Kong and were under no obligation to write a review. All opinions, good and bad are my own. Can I ask you say that rooms have a maximum capacity of 3 yet there are 4 of you staying there. Will they hotel let 2 adults and 2 children stay in one of the rooms that you stayed in. Hello Renee, I haven’t been in Hong Kong for about 20 years and certainly never stayed on a luxury hotel when I did used to go there. I’d adore to stay in this comfy palace. Can you tell me how long the swimming pool is? I’m a passionate swimmer and make decisions on where to stay partly based on pool size so always love to know. Nothing better than a pool with a view!